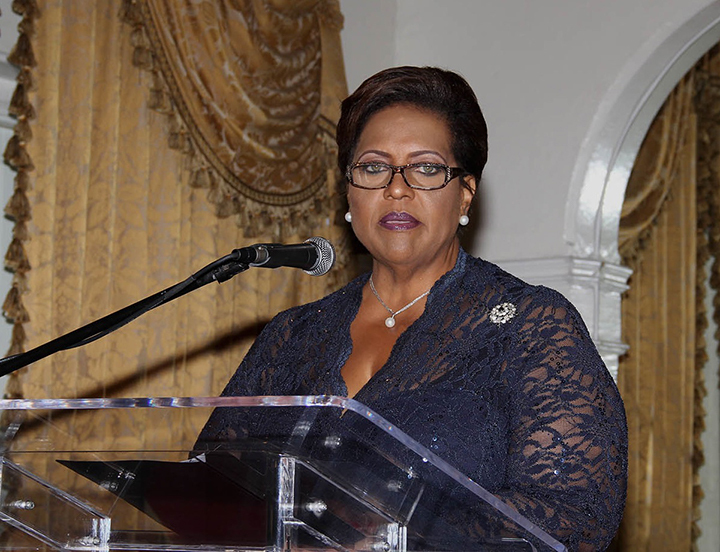 NASSAU, The Bahamas -- Governor General Her Excellency Dame Marguerite Pindling presented the Hon. 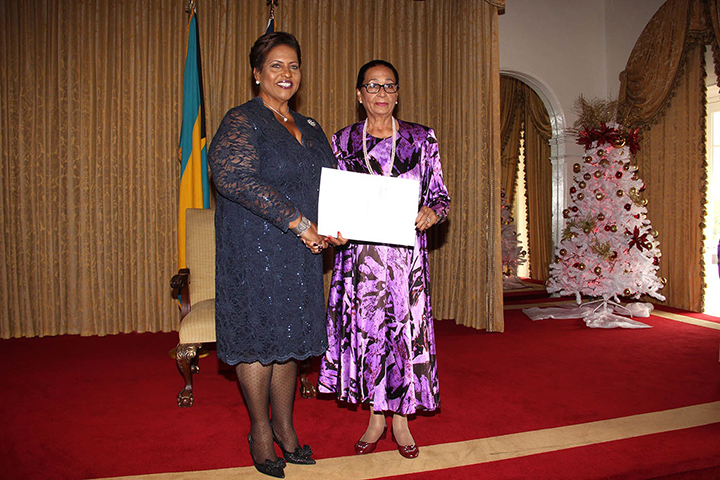 Loretta Butler-Turner with the Instrument of Appointment as the Leader of Her Majesty’s Loyal Opposition during a ceremony at Government House, Sunday, December 11, 2016. She thanked her Parliamentary colleagues for placing their trust and confidence in her as the new Leader of the Opposition. “I pledge an unwavering commitment to collegiality and collaboration. Democracy is not about the mood of a single individual; it is about cooperation in the pursuit of the common good,” Mrs. Butler-Turner said. The Hon. Dr. Hubert Minnis, Leader of the Free National Movement (FNM) and former Leader of the Official Opposition was removed as Leader of the Opposition after a vote of no confidence by seven of the Party’s 10 Members of Parliament on Wednesday, December 7. A petition signed by the majority of FNM Members of Parliament stipulated that Dr. Minnis should be replaced by Mrs. Butler-Turner. The move was approved by the Governor General. Mrs. Butler-Turner explained that the she and her colleagues are convinced that there needs to be a new direction for the country. “Today is about the collective judgement and the sincere beliefs of the majority of the duly elected representatives opposed to the Government of the day. Mrs. Butler-Turner said, “On behalf of my colleagues, we pledge our commitment to serve with integrity as Her Majesty’s Loyal Opposition. We pledge ourselves to the common good of The Commonwealth of The Bahamas; we rely on the wisdom of the Bahamian people."